One of the biggest challenges in trail running is maintaining traction and balance on steep and technical trails. While many trail shoes have much to offer in this area, there are times and places where even the best trail runners need a little something extra. For extra support while on the trail, it’s tough to pass on running poles. They improve your stability, provide greater safety on extreme trails, and allow runners to use a bit of arm strength on climbs to supplement the legs. In fact, poles are required gear in certain mountain races. Whatever model you choose, poles can help you maintain stability and safety no matter the conditions. 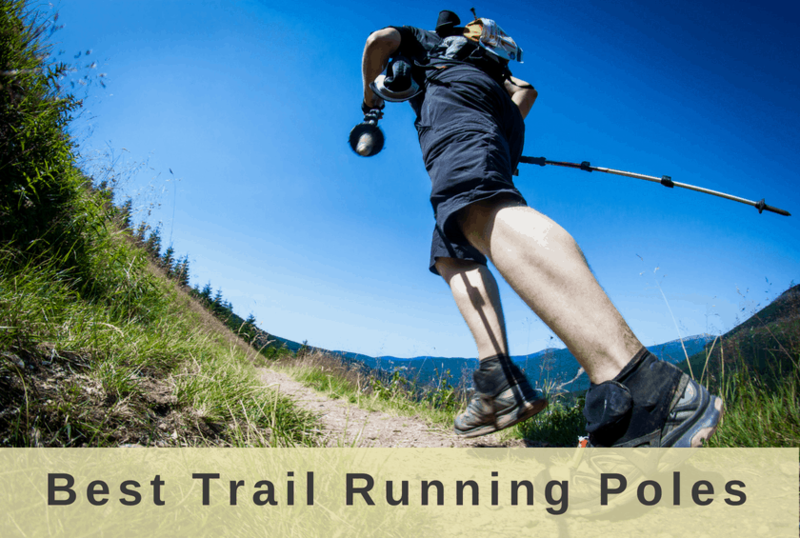 But the best trail running poles offer a superior user experience: lightweight materials, comfortable hand grips, and collapsibility are critical when you’re preparing to embark on a rugged and physically demanding trail. Fortunately, there are many great options for collapsible trail running poles that offer users the benefit of portability and durability. Here are seven top picks suitable for every trail runner, regardless of height, ability, or location. With four folding segments, the Leki Micro RCM poles have earned the title “micro.” The segmented poles are fixed-length and available in sizes from 100 to 135 centimeters. Ideal for collapsing down to stow away in your pack, the micro poles qualify as one of the best trail running poles for those who are short on space. Carbon construction makes the poles both lightweight (at a slight 174 grams per pole) and substantial. As handy as they are thanks to their weight, the Micro RCM poles are also comfortable, with a Thermo Ultralite foam touring grip. The Skin Strap also helps to maintain your grasp without adding additional weight. Flex Tips help with pole planting, aiding stability as you navigate. Here’s where the carbon construction comes in handy: highly-modular carbon can handle high weight while remaining stiff. Traverse any terrain, and the Leki Micro RCM poles will easily keep up with you. A three-section shaft makes folding easy, but the Black Diamond Distance Carbon FLZ poles’ FlickLock also makes it fast. A concealed inner cord connects with a push-button release to collapse the poles, resulting in packable poles from 13 inches long. When it’s time to hit the trail, a one-pull deployment gets you moving in seconds. Weights vary depending on pole length, but each pair starts at about 345 grams, thanks to the lightweight carbon fiber construction. Usable lengths between 95 and 140 centimeters are available, making Black Diamond ideal for a range of runner heights. A lightweight foam grip makes it easy to hang on, and a mini grip extension adds more comfort. Trim wrist straps keep the overall weight down without sacrificing utility. Interchangeable tips let you customize your poles to trail conditions, giving you even more control on your run. Choose either rubber or carbide Tech Tips depending on where and how fast you plan to travel. The lightest weight trekking option Helinox offers, the Passport Tension Lock poles offer narrow-diameter poles with the lightest weight the brand produces. The lowest weight pole weighs in at 145 grams. Depending on the size you select, some poles can pack away into spaces shorter than 33 centimeters. Although not the ideal choice for backpackers or those navigating more challenging terrain, the Passport Tension Lock poles use aluminum construction for maneuverability and dependability. In contrast with cumbersome and feature-packed poles, the Tension Lock models are slim and wieldy, meaning you won’t feel fatigue just from carrying them. Trim wrist straps help maintain your grip, but there are no extra features in these back-to-basics poles. Aluminum construction means they’re affordable yet durable, so you can get out on the trail and not worry about performance or potential replacement if necessary. 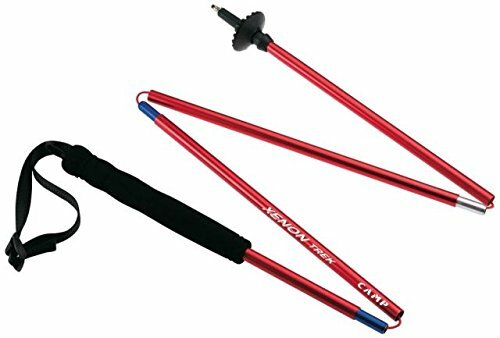 Aluminum poles with carbide tips, CAMP’s Xenon 4 Trekking Poles are supremely lightweight and durable. A total of 280 grams on their shortest poles means you won’t be hefting extra weight, and a packed length of 32 centimeters means you’ll have plenty of extra space for trail essentials. The poles fold down in four segments of aluminum alloy and reassemble with a quick pull cord. The handles have plenty of padding and come with nylon wrist leashes. At the same time, they’re a no-nonsense set of poles with few extra features. With only two size options (120cm and 135cm), you won’t have much adjustability with these poles. However, for runners that fit these two sizes, you can’t get much lighter than the Xenon 4s. And, with their streamlined functionality, the Xenon poles are a helpful addition on particularly rugged terrain when you can’t (or don’t want to) manage weightier poles. 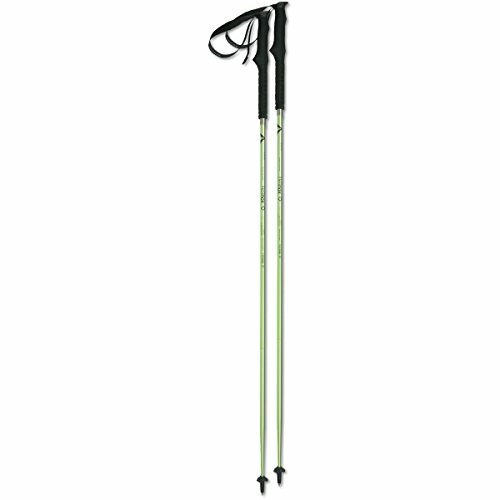 A folding carbon pole that utilizes Speed Lock 2, Leki’s Micro Trail Vario poles have a unique look. Not only that, but the lightweight cork grip extension ensures maximum power transfer. Plus, the breathable cork feels good in your hand. While many Leki poles feature a simple strap design, the Trail Vario use a Trigger Shark Active Strap, which ensures better contact between your hand and the pole grip. While it adds a bit of bulk to the poles, the breathable material and ergonomic shape keep your poles in place without chafing or sliding. Though it lacks the minimalist design of the Micro RCM, for example, the Micro Trail Vario poles make up for their relative heft with quick-adjust Speed Lock 2 functionality. It’s easier than ever to make length adjustments on the go so you can customize every run. Overall, lightweight carbon contributes to the 197-gram per pole weight, not too hefty in comparison with other top trail running pole picks. One of the most affordable – and best – trail running poles is Black Diamond’s Distance Z model. Thanks to aluminum construction, they’re less pricey than carbon models but maintain a light weight and deliver plenty of support. Non-slip EVA foam grips are practical and don’t add extra bulk, and a mini-grip extension keeps you from slipping up. With SlideLock technology, it’s easy to deploy the three-section poles while on the go. The Z-poles also boast “improved” joint support, meaning there’s less chance of equipment failure at the poles’ joints. At the same time, the Distance Z offers a competitive weight, starting at 342 grams per pair. Usable lengths range between 100 and 130 centimeters at four sizes, the shortest of which collapse down to a mere 13 inches. Rubber and carbide Tech Tips allow you to change out your tips to match the trail setting, too. However, you won’t be able to adjust the height on the go, as these are one-length poles. CAMP’s Sky Carbon poles are versatile and durable with carbon fiber and aluminum alloy components. They fold into five segments, with an inner cord and micro-adjustable tensioning system. Plus, you can quickly adjust the length between 115 and 135 centimeters. The set of poles comes with a pocket case to pack them, plus carbide tips for durability. In total, the poles weigh 377 grams, a little on the heavier side for poles in the lightweight class. 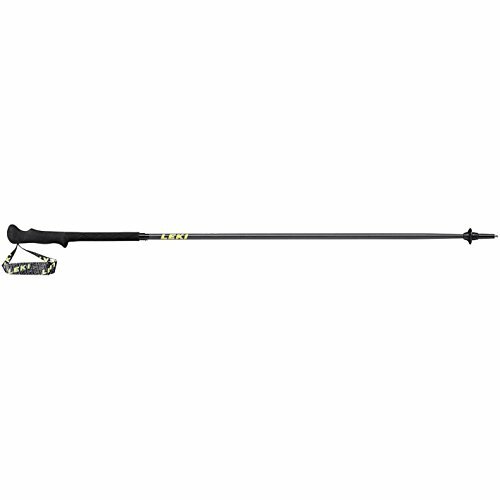 However, the adjustable wrist leashes help keep the poles in hand, and an ergonomic handle helps with the grip. Unlike some poles, which contain inner cords that rub and wear down, the Sky Carbon poles have a plastic-coated cord to keep things moving seamlessly. Plus, the adjustable tensioning system ensures that the assembly stays tight each use. Even the materials distribution is calculated: the upper segments use carbon fiber, while the lower section has aluminum for critical strength at the ground contact points.